Merry Christmas from SitcomsOnline; Remembering Jack Klugman from The Odd Couple, Quincy M.E. Merry Christmas everyone! We hope you are enjoying the holiday whether you celebrate it or not. Thanks for taking a bit of your time out today for visiting. And also thanks for continuing to visit everyday, as we enter our eighth year of everyday posting! As a reminder, don't forget to follow us on Twitter and like SitcomsOnline on Facebook. We welcome your thoughts, opinions and discussions! So join in on the action on both of those! We are everywhere--SitcomsOnline.com, the message board, right here on the blog, Twitter, Facebook, and more! It's certainly "all sitcoms, all the time!" Merry Christmas and god bless us everyone, as Tiny Tim would say! 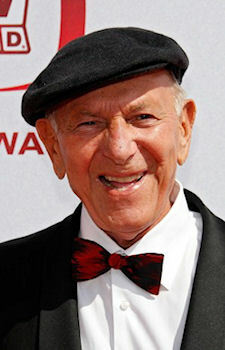 Onto a bit of sad news, yesterday (December 24, 2012) we lost actor Jack Klugman. He is of course best known to sitcom fans as Oscar Madison on the hit '70s sitcom The Odd Couple, based on the Neil Simon play and film of the same name. The series ran on ABC from 1970-75 and Klugman co-starred with Tony Randall, who played Felix Unger. The series was of course about two divorced men living together -- a neat freak and a slob -- Klugman played Oscar Madison, the slob sportswriter to Tony Randall's overly fussy Felix Unger. 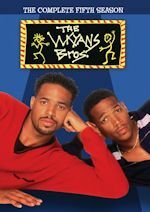 The sitcom got solid ratings and received critical acclaim. Klugman won two Emmys for this role (and was nominated three other times) and a Golden Globe, not bad for a man whose first drama teacher told him he was better suited to be a truck driver. The show ran just for five years, but has lived on for decades in syndication. Klugman's co-star Randall passed away in 2004 at age 84. In 2005, Klugman published Tony And Me: A Story of Friendship, a book about his long friendship with Randall which began in 1955 (15 years prior to Odd Couple) when they both appeared on an episode of the CBS series Appointment with Adventure. For Klugman, no cause of death was mentioned, however he battled throat cancer for many years, losing his voice as a result of a 1989 surgery. He spoke in a rasp thereafter. 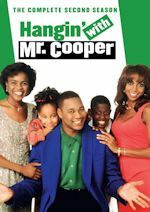 He starred in the short-lived NBC sitcom Harris Against the World in the 1964-65 season. After Quincy, he starred with a then-unknown John Stamos in the short-lived sitcom You Again? on NBC from 1986-87. Some of his other TV appearances were on The Virginian, Naked City, The Fugitive, Ben Casey, I Dream of Jeannie, The F.B.I., Love American Style, The Love Boat, Diagnosis Murder, Brother's Keeper, The Outer Limits, Third Watch, Crossing Jordan and Presido Med. He also appeared on many game shows like Match Game, Hollywood Squares, Password Plus, and $25,000 Pyramid. 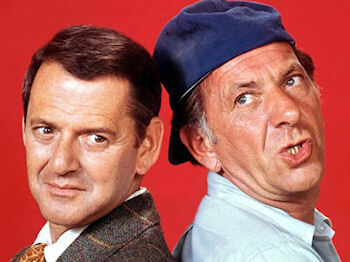 In 1993, he reunited with Tony Randall for the TV-movie The Odd Couple: Together Again, but this time on CBS. He was married to Brett Somers (Match Game), who also guest starred as his ex-wife Blanche in The Odd Couple, from 1953 until her death in 2007 (though they separated in 1974, they never divorced). His survivors include their two sons, Adam Klugman and David Klugman, and two grandchildren. In 2008, he married his longtime girlfriend Peggy Crosby, the ex-wife of Bing Crosby's son, Phillip Crosby. The Archive of American Television conducted an extensive two-and-a-half hour interview with Klugman in 2004 that you can watch. 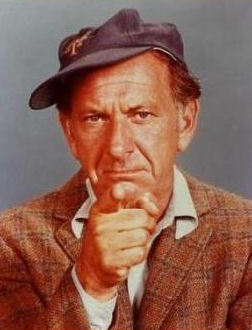 Mr. Klugman will be deeply missed by fans of The Odd Couple and Quincy, M.E. for sure and all of his other work. We will keep you up to date of any on-air tributes for him. The Odd Couple is coming back to MeTV Network starting December 31, weeknights at 10pm, as we previously reported. So a best bet marathon for that series will be from them. In New York City, local independent station WLNY-TV (10/55) already had planned a marathon of The Odd Couple on New Year's Eve beginning at 12 midnight lasting through New Year's Day at 9pm. 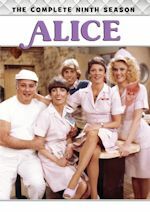 Now that marathon gets bittersweet with the passing of Klugman. 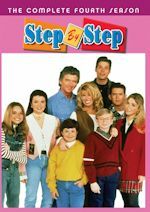 We'll keep you up to date of any on-air tributes (hopefully someone will air Quincy which was last on Hallmark in 2003-04), so stay with us! Mr. Klugman was 90. Share your memories on our The Odd Couple message board. View photos in our The Odd Couple and Quincy, M.E. photo galleries.